WATG-Billie Jean Patterns - Spun Fibre Arts, a local and online yarn store specializing in natural fibres. 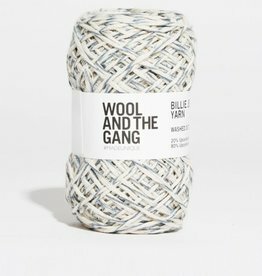 Billie Jean Yarn is made using upcycled pre-consumer denim waste. This waste is ground back into fibre and woven into our new Billie Jean Yarn. Using no chemicals and no dyes. 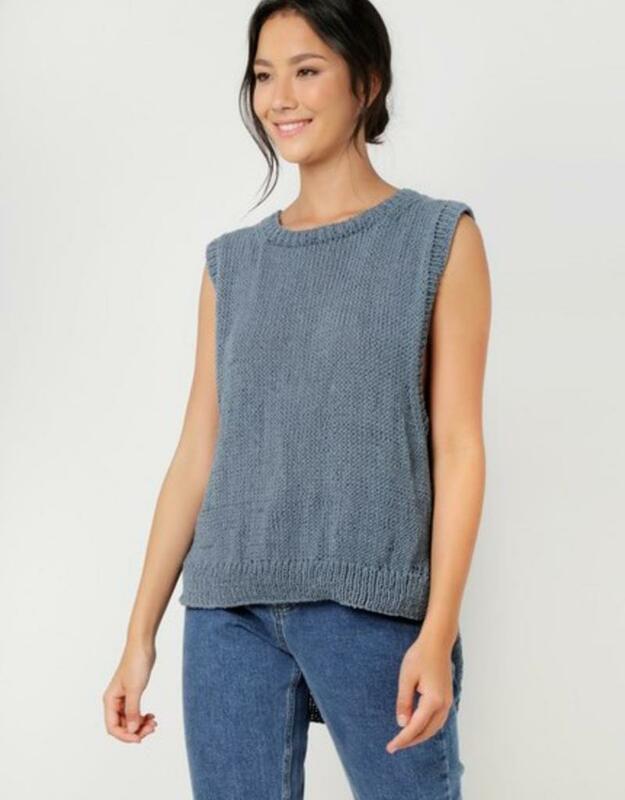 Worked in double crochet with an open mesh panel, our Calvin top is an easy pattern, great for beginner crocheters looking to take their skills up a notch. 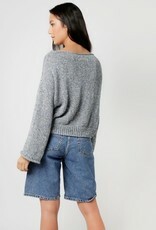 The Crazy Feeling sweater is a great summer cover up or a layer to throw on during mild summer evenings. 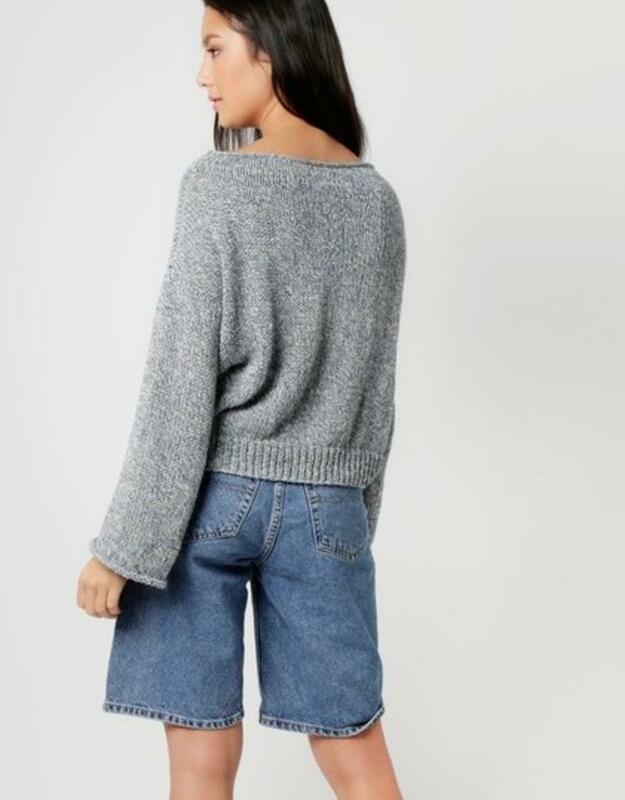 Worked in stocking stitch and 1x1 rib stitch and full of subtle details, the sweater is so much more than your usual slouchy number. Sloping side seams and shaping make this the perfect project for intermediate knitters, or new knitters looking for a challenge. Filled with sophisticated details, the side slits and unique shape of this cardigan make it a summer staple for any wardrobe. 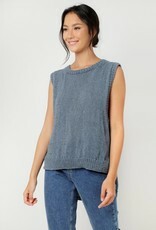 Loose fitting and with a beautiful drape, our Pop Life Cardigan is the perfect piece to throw on in warm weather. A sophisticated wardrobe classic, our Tommy Top has a flattering and easy to wear shape with deep armholes, side slits and a longer back panel. 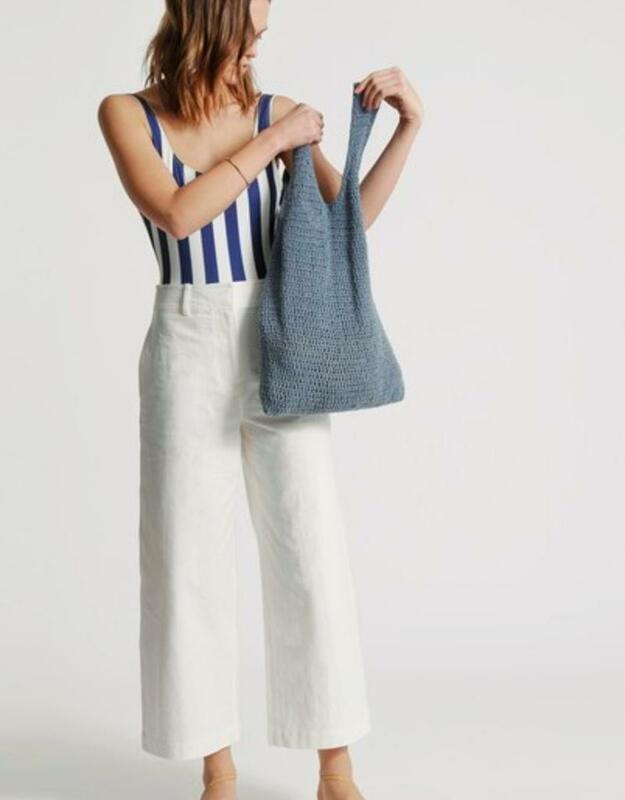 Crocheted in the round, using our ever popular Billie Jean yarn, the Get Lucky bag is a must have crochet project! 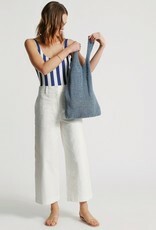 The simple and classic shape, along with its slouchy drape and lightweight nature makes this bag super versatile and an all year round accessory. Note: these are patterns only. Yarn is purchased separately.